Obituary for Jeannette Goode | House of Wheat Funeral Home, Inc.
GOODE, Jeannette (Shelby), age 85, born April 5, 1933 in Dayton, Ohio, we pause to reflect and pay special tribute to her memory for her unselfish devotion and service to her family and friends, was called home to be with the Lord August 23, 2018 at Springfield Regional Hospital. She was a graduate of Paul Laurence Dunbar High School, Class of 1951. She retired from 1st National Bank after 25 years of service, where she was the first African American Vice President. Jeannette was a member of Greater Allen A.M.E. Church where she served as a member of the Choir. Preceded in death by her parents, Jesse and Eddie B. Shelby; husband, De Vonne Marshall Goode Sr.; sisters, Mary Katherine Cartwright; Mildred Jones, Dorothy Bassett; brothers, Robert and Donald Shelby; special cousin, Lillie Berry. 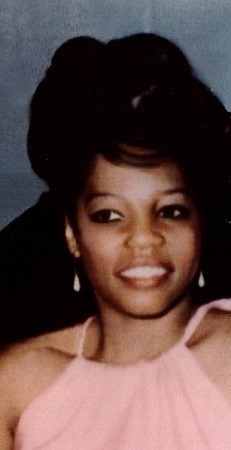 She leaves to cherish her memory, daughters, Denise Goode-Williams and Donna Goode-Rickman of Columbus, OH; son, De Vonne Marshall Jr. (Teri) Goode of Virginia; a host of grandchildren, great grandchildren, great-great grandchildren, nieces, nephews, cousins, relatives and friends. Funeral service 11 am Wednesday, August 29, 2018 at Greater Allen A.M.E. Church, 1620 W. Fifth St. Pastor Ernest C. Brown officiating. Visitation 10 am at which time family will receive friends. Arrangements entrusted to House of Wheat Funeral Home, Inc.